Prior to Opec ministerial conference on June 23, every indicator was pointing to its members and non-Opec producers agreeing increase oil production to meet demand for the remainder of 2018. To maintain market stability and the gains made by the Declaration of Cooperation (DOC), Khaled Al Faleh, the Saudi Minister of Energy, Industry and Mineral Resources, stated a few days before the conference that “to gradually roll back the oil production cuts that were forged in November 2016 and implemented in January 2017”, Opec would come up with a decision that would make everybody happy. Obviously this was in consultation with Russia, the leader of the non-Opec participants in the production cut agreement. 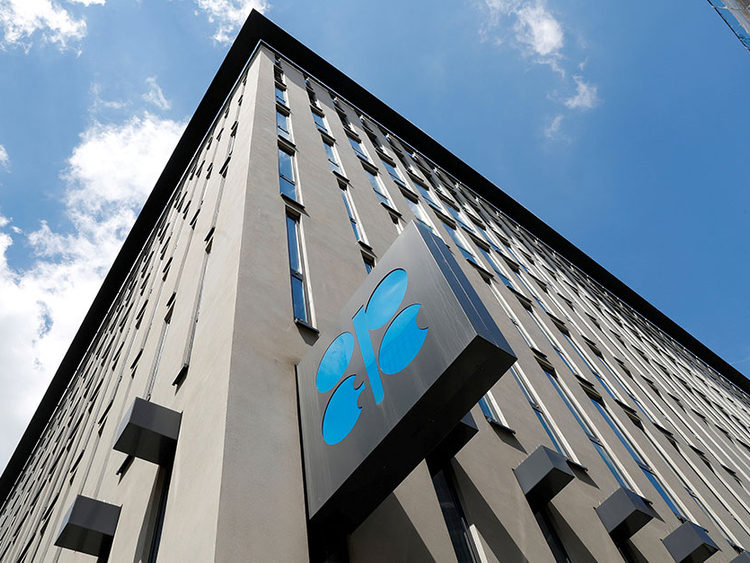 The conference was preceded by the seventh Opec International Seminar and for two days participants voiced their views about expected developments in the oil market. In his speech for the meeting of the Joint Ministerial Monitoring Committee, Al Faleh said “Our customers have spoken loudly and we must listen to them. We need to be responsible and responsive by releasing the right level of supplies”. And that there is “anxiety in many quarters about a supply deficit”. He also cited Opec Secretariat analysis which shows OECD stocks declined by 370 million barrels since the beginning of 2017, the starting date of the agreed production cuts. And that if no action is taken, stocks would decline by another 300 million barrels by the end of the year. Given all of the above, the conference decided that the producers’ overall conformity with production cuts, which has reached 152 per cent in May 2018, is to be “voluntarily adjusted to 100 per cent, as of July 1 for the remaining duration of the DOC”. Theoretically, this is about a 1 mbd increase in production, but most analysts believe that this will translate to about 0.7-mbd only. Enough for “gradual” and pleasing for “everybody”, though consumers, especially in the US, immediately said this is not enough. Judging by the price movement, the market while welcoming the move, was not impressed. After an initial fall to $74.55 a barrel of Brent on June 25, prices resumed an upward move and as I write prices are at $79.23 (Dh290.77) a barrel. The market is driven by supply uncertainties, whereby the US is adamant to bring Iran exports down to zero, a wish that may not be fully fulfilled given that some countries will find a way to still have some of Iran’s exports flowing, especially if the weapon of discounts is employed. Therefore, estimates of Iranian reduction in exports range from 0.5- to 1.5-mbd, though mostly at the upper end. The situation in Libya is not assuring and the country recently lost about 0.4-mbd of exports due to severe fighting in the east of the country. Nigerian production is far from the 2-mbd aspired to a few months ago, and Venezuela production is down from 2.07-mbd at the start of the cuts agreement to 1.36-mbd in May and with further declines expected. Even in the US, production has stagnated at about 10.9-mbd due to pipeline capacity shortage. The IEA estimates that spare production capacity worldwide is 3.4-mbd, mostly in Saudi Arabia, and the anticipated increase will bring it down to 2.4-mbd, which is considered too low for comfort if any additional supply disruption takes place. However, the risks associated with oil supply far exceed those associated with demand and no wonder the perception of price movement has changed drastically from what it was a few months ago. The Bank of America forecasts Brent at $90 in the second quarter of next year, while UBS has it $80-$85 in the second-half of this year. The market therefore, promises additional surprises and further action by Opec and its associates may come even earlier than its upcoming meeting in December 2018. — The writer is former head of the Energy Studies Department at the Opec Secretariat in Vienna.